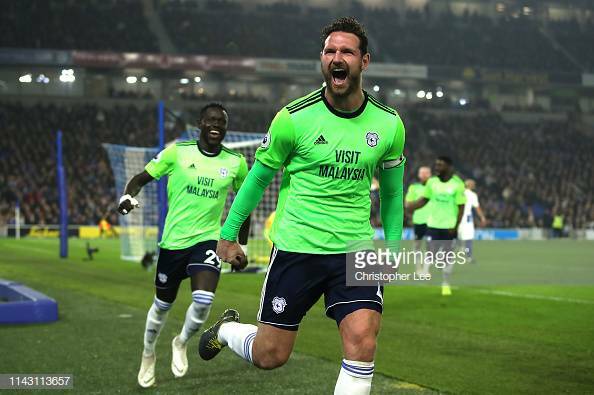 Cardiff's captain Sean Morrison celebrating scoring Cardiff's second goal. Image courtesy of Christopher Lee on Getty Images. Brighton take on Cardiff at The Amex Stadium in what will be a huge game and could help to determine which team are more likely to go down. Brighton suffered a 2-0 defeat to Cardiff City in what was a vital game at The Amex Stadium. The sides were separated by one place and five points going to the game, but a first-half strike from Nathaniel Mendez-Laing and a second-half header from the captain, Sean Morrison saw the visitors take all three points. The Seagulls head into the game off the back of their biggest defeat at The Amex Stadium since they moved in 2010 and they will be hoping to turn this around and ease any relegation fears. Cardiff head into the game on the back of a 2-0 defeat to Burnley, which was controversial with Cardiff being awarded a penalty by the assistant, before having it taken away by referee Mike Dean. A win will pull them just two points behind Brighton and making it very interesting heading into the weekend. Brighton made five changes from the 5-0 defeat to Bournemouth on Saturday, with Pascal Gross and Solly March returning to the squad from injury, along with Glenn Murray, Alireza Jahanbakhsh and Bruno. This saw Florin Andone and Jurgen Locadia drop to the bench with Yves Bissouma and Martin Montoya being dropped and Anthony Knockaert beginning his three-match ban for his red card against Bournemouth. Cardiff made three changes from the side that lost to Burnley with Oumer Niasse, Mendez-Laing and Joe Ralls replacing Ken Zohore, Harry Arter and Josh Murphy. The win means the Bluebirds are just two points behind Brighton in the race to avoid the last relegation spot. Brighton came flying out the blocks and had the first chance of the game in the first minute, when March picked the ball up 25 yards out and drove past three, before firing his effort into the side-netting. Cardiff went close to scoring in the fourth minute when a corner fell to Ralls who then swung a ball into the box from the right flank and captain, Morrison couldn't quite get his head on it at the back post. March had another effort when a long throw was cleared to him on the edge of the box, but he could only drag his effort wide of the post. 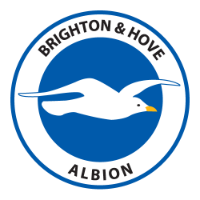 Albion had an appeal for a penalty in the eighth minute, when Gross' free-kick was heading towards Lewis Dunk, who appeared to be pulled down by the neck by Bruno Ecuele Manga. 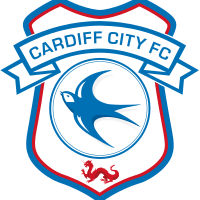 The Bluebirds took the lead in the 21st minute when Davy Propper lost the ball and Mendez-Laing played a one-two with Junior Holiett and then curled an effort into the top right corner. The Seagulls had a chance in the 27th minute when Gross' free-kick fell to March, who laid the ball off to Dale Stephens, but his effort was deflected wide for a corner. The resulting came to nothing. Five minutes before half time Cardiff went close when a corner came into Aron Gunnarsson, but he headed over from close range. Cardiff doubled their lead in the 49th minute when Victor Camarasa's free-kick found captain, Morrison at the back post and he powerfully headed the ball into the net. Brighton went very close to pulling one back in the 69th minute when substitute Florin Andone brought down the ball and laid it off to Murray, whose half-volley went just over the bar. Andone then had a chance in the 77th minute, when substitute Jose Izquierdo back-heeled the ball to the striker but his effort was well blocked by Morrison. Murray hit the post in the second minute of stoppage time, when he got on the end of March's inswinging cross. Brighton will have plenty to take away from the game. The first being giving away possession cheaply is dangerous. You would have thought they would have learned from this after conceding four in this fashion on Saturday, but they obviously hadn't. For the first goal Propper could have had a shot on the edge of the box, but instead, he took too many touches and lost the ball and it resulted in Cardiff countering and scoring. Albion will also need to be encouraged to shoot more as there many occasions where players could have had an effort, but instead decided to pass the ball. Cardiff will take away a terrific first half performance, they were defensively solid and frustrated Brighton and then hit them with the sheer pace they have on the counter in Mendez-Lang, Hoilett and Niasse. This will impress manager, Neil Warnock as his side have struggled to keep clean sheets away from home. Also Warnock will be impressed with how his side did not sit back on their lead and got a two-goal cushion early in the second half. It has to go to Cardiff's captain, Morrison who was outstanding at the heart of the defence. He went close to scoring in the fourth minute, but just couldn't get his head on it. In the second half, he scored the second goal of the game with a terrific header at the back post. Overall, his defensive work and his know-how of where to head the ball or what to do with the ball meant he thoroughly deserved to walk out with a clean sheet to his name.